The member of the House of Representatives representing Oyi/Anyamelum Federal Constituency of Anambra State, Mr Gabriel Onyenwife, has defected from the All Progressives Grand Alliance to the Peoples Democratic Party. The Speaker, Yakubu Dogara, read a letter from Onyenwife at the plenary on Wednesday, announcing his defection. Onyenwife blamed his decision on the outcome of the primaries conducted by APGA in Anambra. 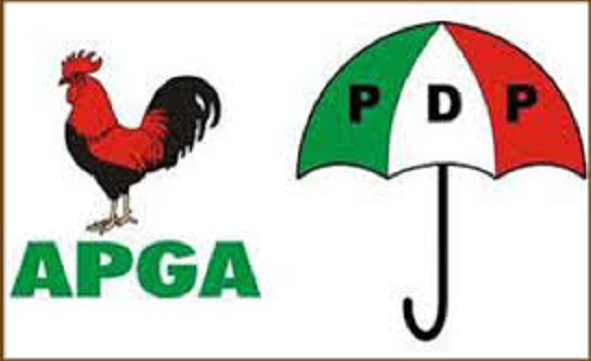 He said “APGA is in deep crisis” and that the party does not follow democratic processes. He also said the party had been divided, with the emergence of a factional New-APGA.